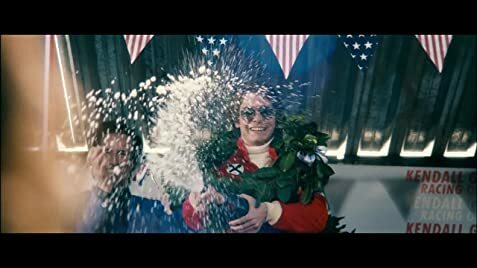 As a Cineworld Card Holder I was invited to a screening last night of Ron Howards new movie Rush. Before I start...I am not a F1 fan, but I knew enough of the history of the main protagonists to appreciate the film. The main set pieces of the film set a year before I was born in 1976, so mainly my knowledge was based on my Fathers recollection of the events. I'd seen James Hunt in interviews and recently watched footage with Niki Lauda so got an idea of the characters. 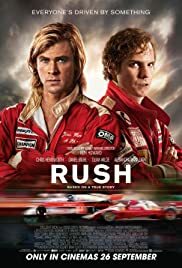 The film is bang on in period, cars fashion and sets the tone excellently, the cinematography is nothing short of breathtaking and the fx are very much in keeping with the period, no ridiculous CGI. The acting, on the whole is nothing short of miraculous, Hemsworth and Bruhl are fantastic, particularly Hemsworth, who's accent, mannerisms and natural acting was a big surprise. I could see a few awards for this role. I have seen Bruhl in quite a few films and I am always impressed so this just continues the trend. All the support actors are very good in smaller roles. The film is well paced for 2 hours and quite graphic, particularly a few accident scenes. Direction: Ron Howard - nice job, I'm not a massive fan and particularly after the da vinci/Angels fiasco's a big return to decent form. The flair was there but played safe (As normal) but let the story and the actors take centre stage. If you like History in F1, a well documented rivalry and a film that capture this, watch it. It is similar to the excellent Control, Moneyball etc but with a bit of heart.